Russell Rolls has been in business since 1958. 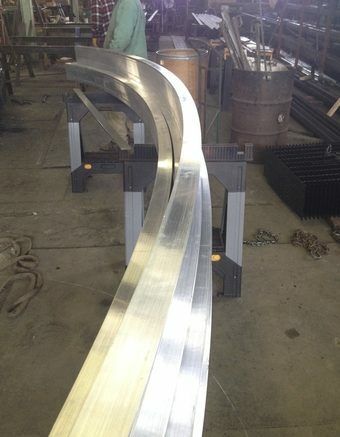 We were recently acquired by Safe Escapeways, we have specialized in custom rolling angle, bar, pipe, channel and caprail. 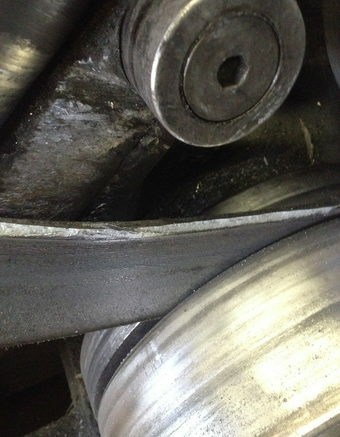 We can bend the following materials, mild steels, stainless steel, aluminum, copper, and brass. 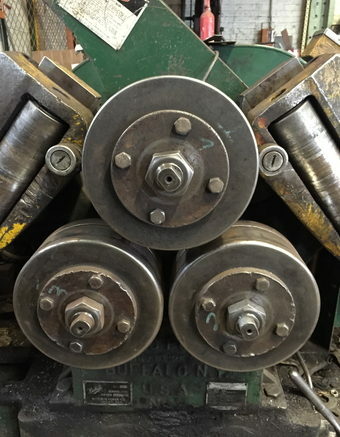 We have three Buffalo Forge bending machines with 1/2″, 1 1/2″, and 2″ capabilities and pipe up to 2″ diameter. 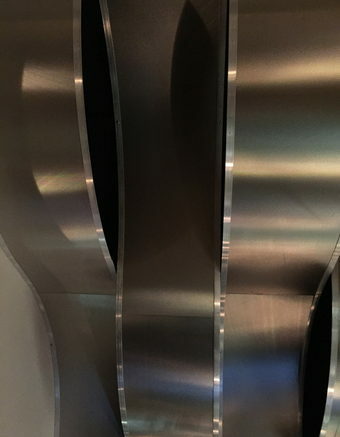 We are able to bend materials to the following, Leg In, Leg Out, Flange In, Flange Out, On Flat, On Edge, Stem In, Stem Out, On Flange, Square Bar, Round Bar, Pipe, etc. 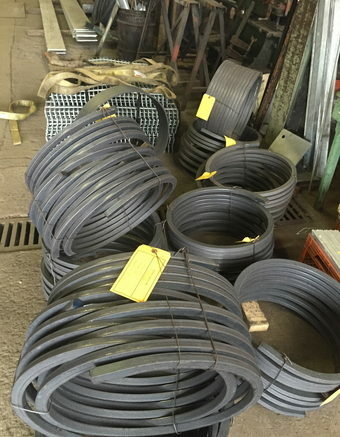 We are a speciality shop with a fast turn around time, usually 2 to 3 days from the delivery of your material. Please contact us for all your rolling needs.